Jennifer Sousa is a seasoned compliance professional with 20 years of Medicare Advantage experience. She began her career with a large national plan, handling call center operations and appeals and grievances for their Medicare line of business. She then moved on to a 15-year career for a large state plan, serving as its Chief Compliance Officer and Medicare Compliance Officer. She joined the Medicare Compliance Solutions team in 2015. 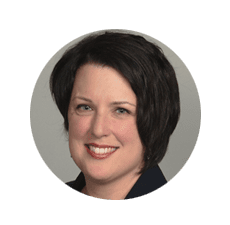 Jennifer has extensive experience designing and implementing compliance programs to support Medicare Advantage requirements. She has served as an Interim Compliance Officer for MCS clients, including development of policies and implementation of best practices for compliance programs, preparing clients for the Centers of Medicare & Medicaid Services (CMS) audits and validation audits, conducting risk assessments, developing auditing and monitoring plans, developing and implementing corrective action plans to address CMS audit findings, and conducting mock audits. She has also reviewed marketing materials and developed training, job aids, and policies and procedures for MCS clients in a wide range of areas, including appeals and grievances, sales and marketing, enrollment, credentialing, claims, customer service, utilization management, vendor oversight, and Part C and D reporting. Jennifer also has experience tracking Medicare Star Ratings performance and implementing strategies to improve performance.